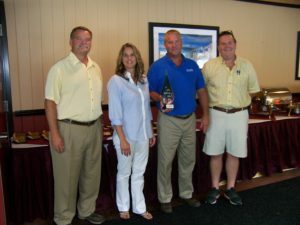 Kellam Mechanical gives back supporting local charities and organizations. 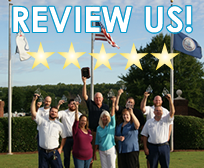 About Us | Our Mission | Our Commitment | In the Media | Careers | Review Us! Kellam Mechanical is proud to take an active role in the Tidewater community to help our environment become brighter, cleaner and greener. As a homegrown native of Virginia Beach, Scott Kellam loves involving the Kellam Mechanical team in projects that improve our community. Be sure to follow us on Facebook or Twitter to see where and when you can come out and help us raise money and awareness for these great causes! Below are a few of the local charities and organizations that we support! 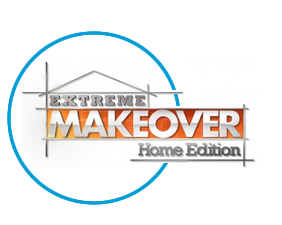 In 2011, the Kellam Mechanical team was excited to lend a hand and help out a local Virginia Beach family for ABC’s Extreme Home Makeover. Technicians John McFadden, DJ Ridenhour and Rob Taylor made a difference in our community by bringing comfort to the Hill-Burdette family while working along side the Art Newsome crews to install the heating and cooling systems. Watch here! 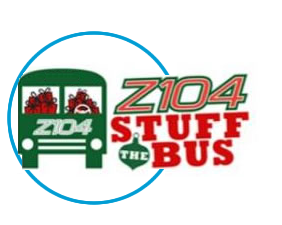 Every year Kellam Mechanical wants to help make sure EVERY child in Hampton Roads has a Christmas to remember by donating toys and time aboard the bus with Shaggy of Z104 for the annual Stuff the Bus toy drive. Z104 partners with the U.S. Marine Corps Reserve for their Toys for Tots Program and each year goes out and collects tons of toys for children in need right here in Hampton Roads! If you want to join in the fun and support a great cause then come join the Kellam Mechanical team and Shaggy as we collect toys at various locations across Hampton Roads. Kellam Mechanical is a huge supporter of a cleaner healthier environment, both indoors and out. Virginia Beach and it’s residents rely heavily on local waterways including the bay and all of the rivers and streams that flow into it. Not only do these bodies of water provide recreation, but they also impact our local economy in many ways. 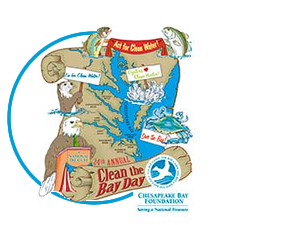 Each year Kellam raises money and awareness to support the Chesapeake Bay Foundation which includes attending the Clean the Bay Day event to raise awareness of the importance of clean waterways. To learn more about how you can help protect our beautiful Chesapeake Bay and surrounding waterways visit the Chesapeake Bay Foundation website here. 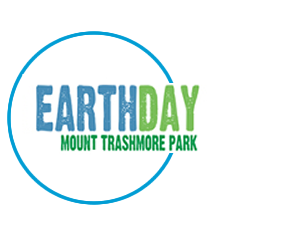 Each year Kellam Mechanical attends and sponsors the Earth Day event held at Virginia Beach’s Mount Trashmore Park. Participants can visit the Kellam booth to learn more about the Earth friendly products and solutions they provide. Kellam also provides FREE generator power to the event while assisting with the safe recycling of old office electronics that attendees bring for disposal to the event. Be sure to join us this year to learn more about ways you and your family can make our world a healthier place. Visit the VBGov.com for dates and times on the next EarthDay event. Follow is on Facebook for event photos and info! 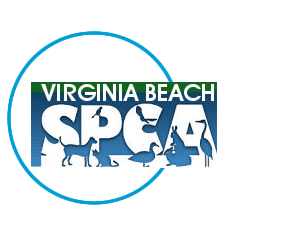 In the middle of a late July heat wave in 2006, a drunk driver crashed into a utility pole on Holland Road which knocked power out at the Virginia Beach SPCA. When power crews restored service, three of the air conditioners in the SPCA facility were single phased. Two were completely destroyed and the main unit was severely damaged. After the story aired on the local news reporting sweltering conditions, noting that some windows could not be opened to relieve some of the stagnant heat, Scott Kellam and his lead technician showed up the next day to donate labor toward a new York unit which was donated by Virginia Air Distributors. With the help from Kellam Mechanical and some other local caring businesses, the animals in the shelter were comfortable within 24 hours. We are proud to support our local SPCA. Kellam Mechanical supports the Virginia Beach Education Foundation by providing equipment and materials and offering HVAC expertise in order to enhance housing projects. The mission of the organization is to raise private sector support to fund innovative and creative learning programs for the students of Virginia Beach City Public Schools and to reward educational experience. 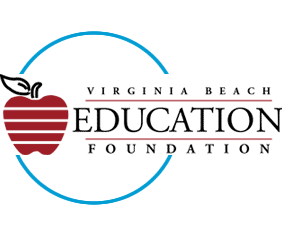 The Foundation is a vision that has become a reality for making a difference in Virginia Beach Public City Schools and we are proud to be a part of it’s growing success. Learn more about the VBEF here! 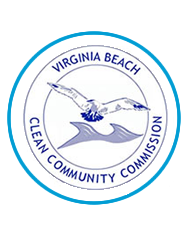 Kellam Mechanical is a member of the Virginia Beach Clean Community Commission (VBCCC) and regularly supports and participates in meetings and events focused on delivering presentations and educational resources provided to school clubs, community organizations and business on promoting litter prevention, recycling, beautification and general environmental awareness. To learn more about the VBCCC click here. Tell ‘em Kellam loves animals! Kellam Mechanical is honored to participate in the annual Clear the Shelters event which encourages the community to adopt a pet through local shelters in turn giving loving animals a forever home. This wonderful organization gives families the opportunity to adopt an animal in need by offering no-cost adoptions, pet spaying and neutering. Be sure to follow us on Facebook to find out when the next Clear the Shelter event is happening in our community! Our community involved technician, Hunter Bright, proudly represented Kellam Mechanical Saturday, April 1st 2017 at the Churchland Baseball field. He got to throw the 1st pitch for the opening day ceremonies. 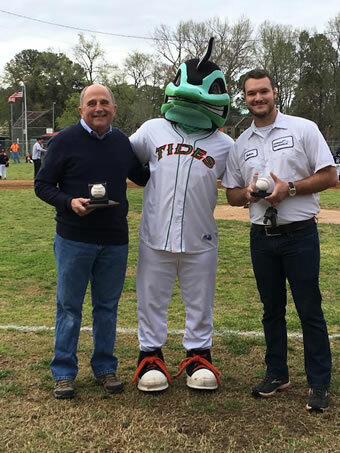 Pictured with Hunter is Norfolk Tides mascot, Riptide and Portsmouth Mayor, John Rowe. 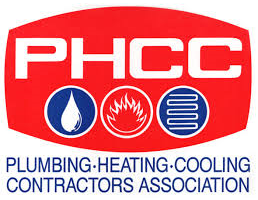 On October 21, 2016 PHCC presented Scott Kellam with the National HVAC Contractor of the Year Award in San Antonio, Texas with over 400 attendees at the event. The presenter announced he won based on integrity, excellent customer service, business leadership and community involvement. 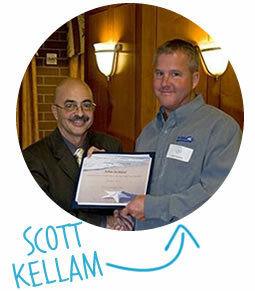 Scott was honored to be acknowledged for his accomplishment and prideful of his hard work building Kellam Mechanical. 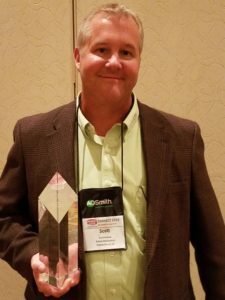 Scott Kellam received the Virginia PHCC HVAC Contractor of the Year award on September 7, 2016, presented in Virginia Beach. This is a great honor to represent Heating and Air Conditioning Contractors for the state of Virginia. 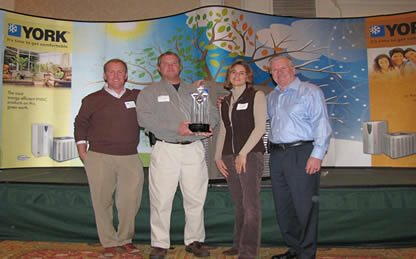 On April 17th, 2013, Kellam Mechanical was awarded the 2012 Top York Dealer Award today for the state of Virginia. 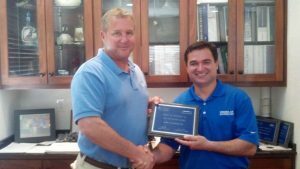 This marks the 10th consecutive year that Virginia Air Distributors has presented Scott Kellam with this award. Pictured are Scott Kellam, President and Ed Zednik, Virginia Air Distributors Territory Manager. Service technician Matt Montgomery won the ACCA sholarship award in May 2011 recognizing him for his dedication to advancing his education in the HVAC field. 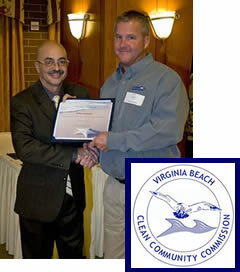 Dan Baxter of the Virginia Beach Clean Community Commission (VBCCC) presented Scott Kellam with a certificate of recognition for support and participation in keeping Va. Beach beautiful on November 2, 2011. 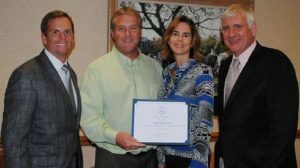 Scott and Sarah Kellam were presented the 2010 Presidents Award for outstanding commitment in loyalty and business partnership.